Scots-born Wallace Atherton McCurd was a pioneer used car dealer, setting up in this business in London in 1898, when there cannot have been many used cars around to sell. He countinued in this line up to, and possibly beyond 1912, when he started to make a 3 1/2 ton truck. 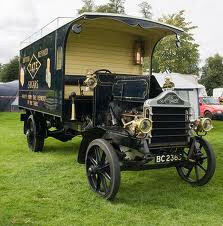 The works at Dollis Hill, London, were occupied with munitions manufacture during the war, and afterwards McCurd found it hard to re-establish truck production as there were so many ex-War Department vehicles on the market. He began testing a car of his own manufacture in 1921, and it was launched at the White City Show in November 1922 from a new factory at Hayes. Unlike many light cars of that time, it did not use proprietary components, but had a 1645cc 4-cylinder monobloc engine of McCurd's own design and manufacture. Although a quality product, the McCurd was expensive at £485 for a 2-seater or 4-seater and probably not many were sold though no production figures survive.